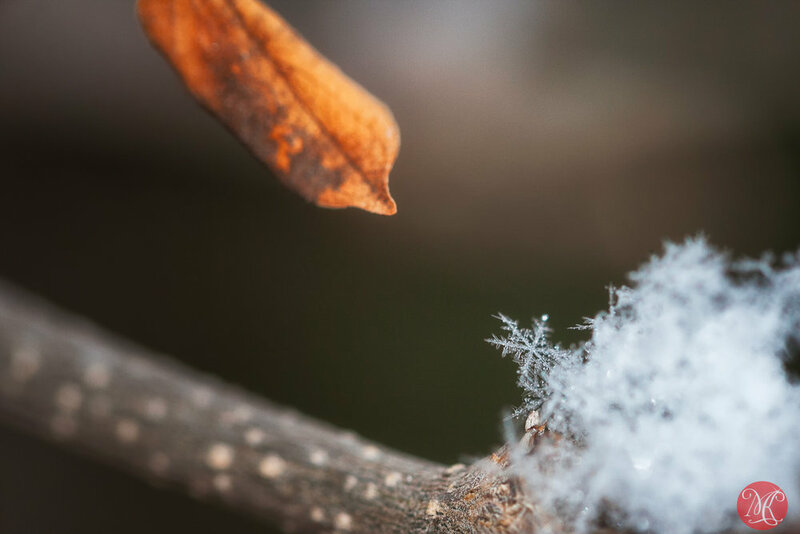 One of my favorite things to do, after a fresh snowfall, is to go out and look for nice snowflakes to photograph. 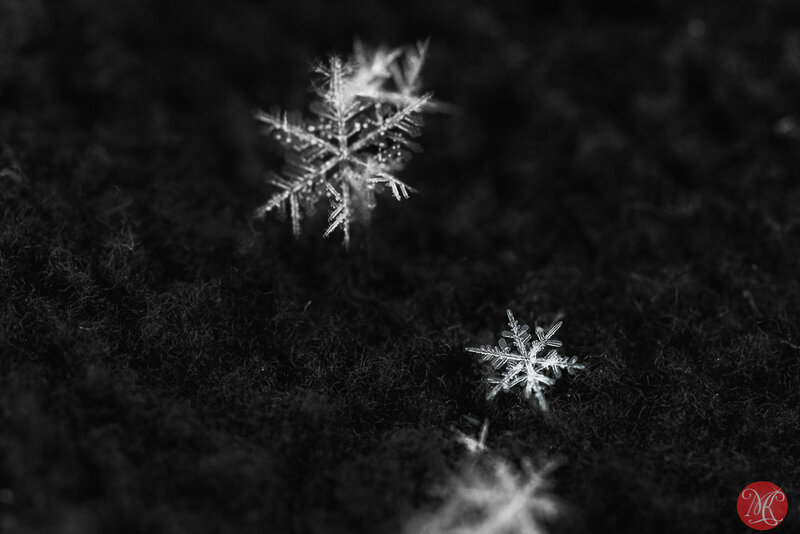 Snowflakes are quite fascinating and so lovely to look at. It needs to be rather cold for perfect snowflakes to form and stay that way for a bit. If it's too windy, they will be blown away or, simply, be destroyed (not mentioning impossibility to focus one's lens on them). If it's sunny they will melt.. One has to be able to go out quickly after, or during a snowfall, to catch them at their best. It requires a huge amount of patience and warm clothes and one ends up with hundreds of pictures from which, only a fraction can be used. In spite of all this, I find myself going out quite often, when conditions are good, and shooting. Their fragility prompts me to take more photos of them. After all, when they are gone, they are gone.. And, since it looks like we might not get any more snow before Christmas, here is a few snowflakes shots from the past.. I hope you enjoy!